Collected on trunk of living Chestnut Oak at night. 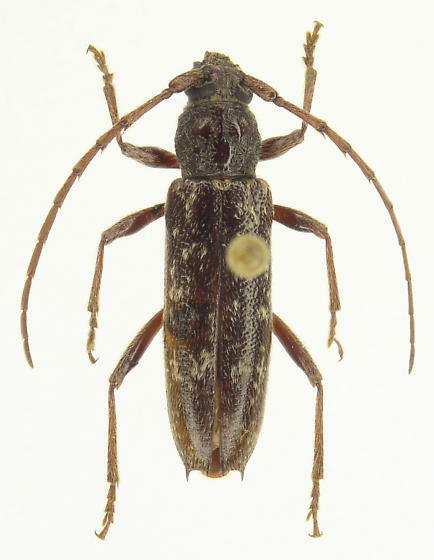 Note the glabrous ridges on the pronotum, spines on the antennae and elytral tips, but without femoral spines. Before specimen was dry, I could straighten out each antenna to just short of of the elytral apices to rule out P. incertum (see guides by Lingafelter and Yanega).